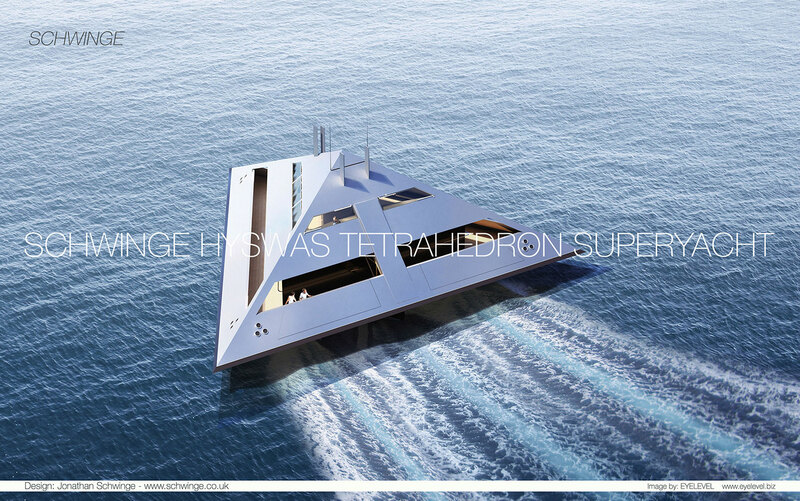 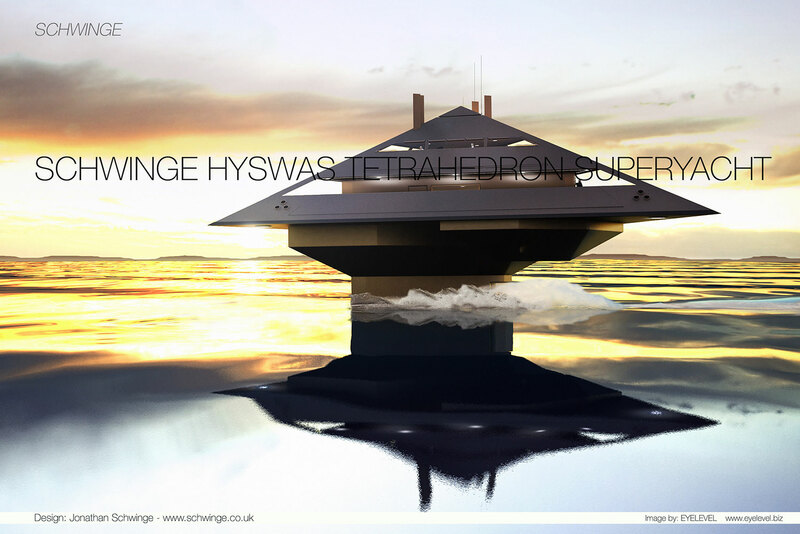 The Tetrahedron would have the appearance at high-speed of ‘levitating’ over the water: a boat that can fly. 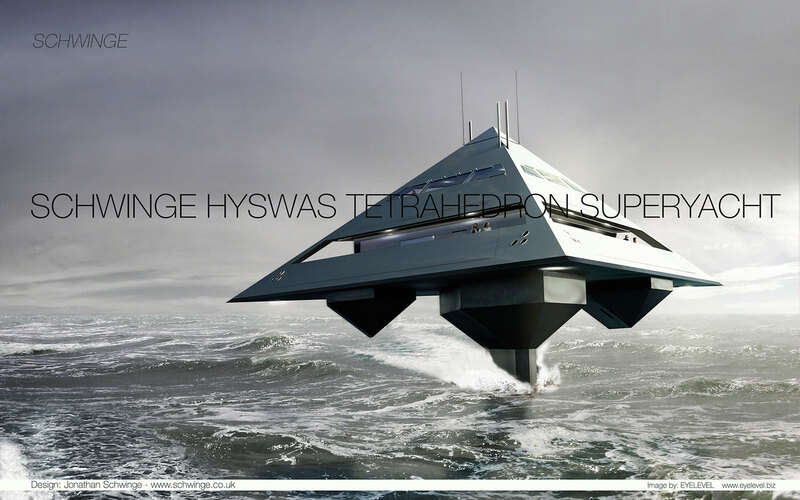 This is produced by a HYSWAS hull - A Hydrofoil Small Waterplane Area Ship - that is comprised of a single vertical strut onto a single submerged ‘torpedo’ hull. 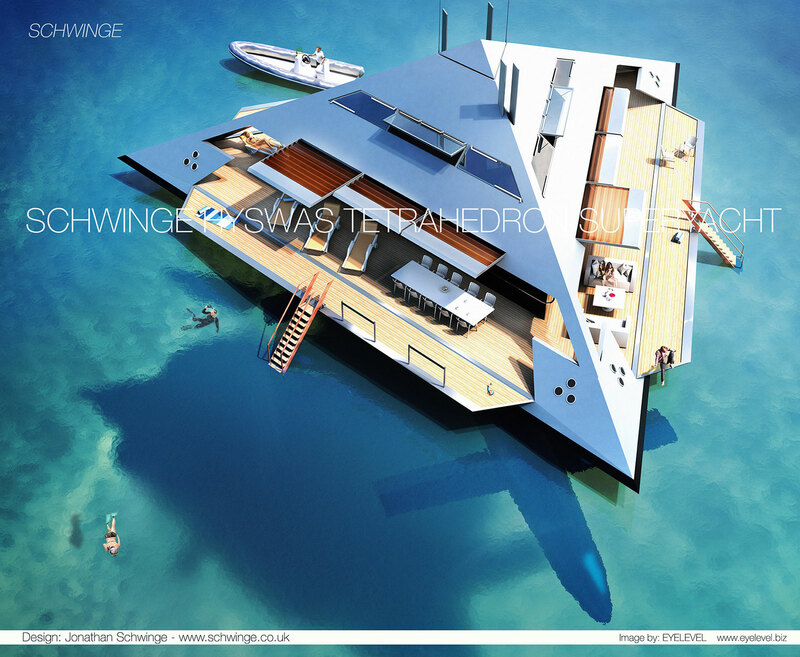 The vessel will lift out of the water at speed on side-mounted adjustable hydrofoils. 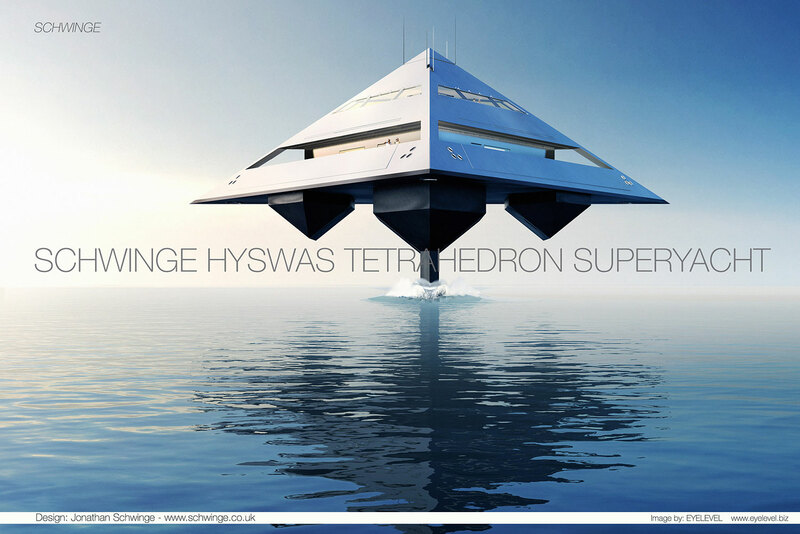 The concept design of this HYSWAS craft is based upon an existing hull design which has been developed by several companies, notably the Maritime Applied Physics Corporation in America, and has been proven by their technology demonstrator - ‘The Quest’ - in 1995. 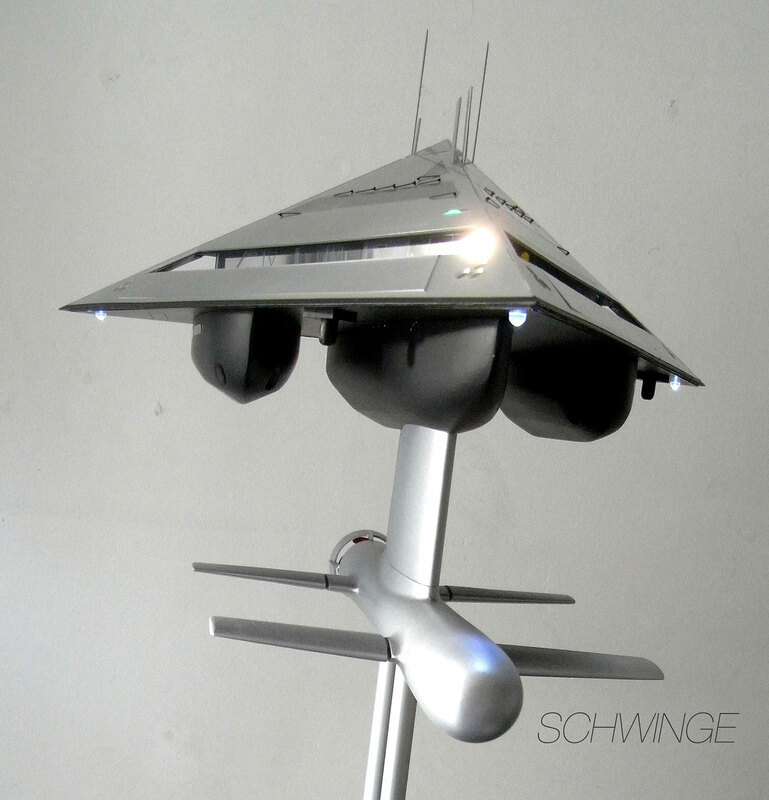 © 2014 Schwinge Ltd. All rights reserved.